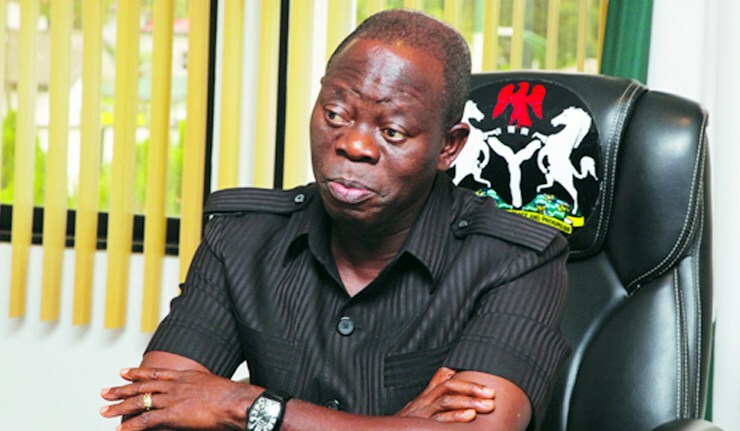 The National Chairman of the All Progressive Congress (APC), Comrade Adams Oshiomhole, has said the Senate President, Bukola Saraki is a disgrace to Nigeria’s democracy. He stated this in a statement signed and issued on Thursday to reporters in Abuja by his Chief Press Secretary, Simon Ebegbulem. 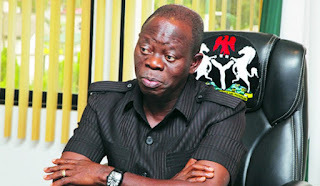 Oshiomhole spoke in reaction to a statement credited to Saraki that the APC chairman had allegations of bribe-taking as made by some governors from his party hanging on his neck. He said it was pathetic and irresponsible that the Senate president would resort to ‘petty politics’. He added that Saraki had no moral ground to call for the resignation of the national chairman. The APC chairman threatened to sue Saraki if he failed to provide evidence that he actually took bribes from aspirants.